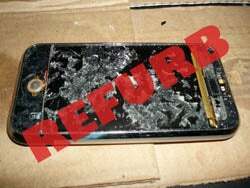 AT&T Offering Refurbished iPhones at Knockdown Prices? The chaps at BGR have received a leaked AT&T memo, which states the company will be offering refurbished iPhones for the lowly price of $199 (4GB) and $249 (8GB.) The refurbished iPhones will be made available with new contracts only, and are bound to sell as quickly as heavily discounted iPhones. Jump for the AT&T memo.